Please note the club will be closed on Easter Monday (22nd April). No early sessions over the Easter holidays, 7pm sessions will run as usual. Salle Holyrood is a community fencing club which welcomes fencers from the complete beginner to elite athlete. The club was the brain-child of highly respected coaches, Sean Walton and Keith Cook in order to provide a pathway for junior fencers progressing from Fencing Fun plastic fencing classes. In the short time since the club started in 2011, we have grown to become one of the most successful clubs in Scotland, producing 11 British Championship Titles, Commonwealth medallists and fencers at all age categories representing Scotland and Great Britain. We welcome fencers from complete beginners to international athletes from the age of 8 upwards. We are delighted to have been awarded the status of “SUPERCLUB” by the sport’s governing body, Scottish Fencing, in January 2018. One of only two clubs to receive the first accolades. The scheme assesses the governance, procedures and athlete development capabilities of the club and we are delighted to have met the strict criteria the scheme requires. 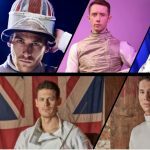 SUMMER FOIL SPARRING CAMP WITH GB MEN’S FOIL TEAM ANNOUNCED!